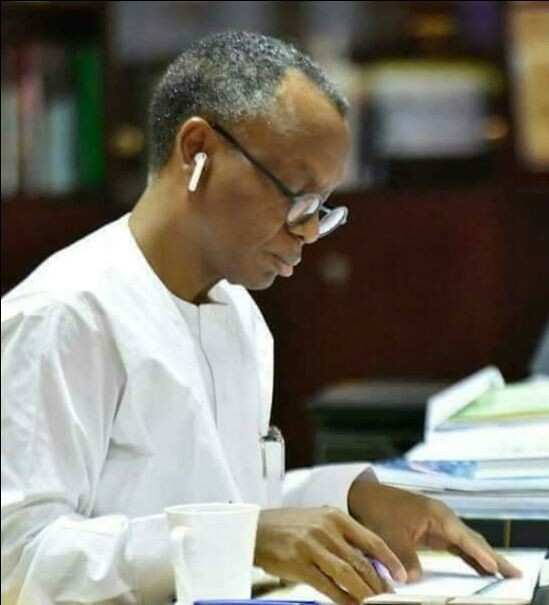 More than 9,000 civil servants who claimed to have been compulsorily retired within the past three and a half years on Thursday appealed strongly to Kaduna State Governor, Nasir El-Rufai to pay their entitlement. The retirees, who stormed the secretariat of the Nigeria Union of Journalists (NUJ) in Kaduna and addressed the press said, they were not against the policy taken by the governor but pleaded their entitlements be paid without further delay to enable them take care if their medical needs and other essential needs. However, efforts by the Chairman of NUJ, Kaduna Council, Comr Adamu Yusuf to get reaction from the Senior Special Assistant to the governor on Media and Publicity, Samuel Aruwan were not successful as he could not answer his calls as at the time of filing this report. Speaking through their chairman, Alan Audu, they clarified that, they were not part of the sacked teachers and civil servants, but were either directors or deputy directors who have served for over thirty years and were already getting tired of the treatment metted on them. According to the Chairman, “it is now one year and some days since when some of us the civil servants of Kaduna state who are more than nine thousand, were compulsory retired by the Kaduna State Government due to a policy initiated by the government to down size, its work force. “But till today, our entitlements have not been paid. It is better to make it clear here that we are not part of the primary school teachers or local government workers. “We are from the different ministries and other MDAs of the state. We have no problem with policy if that is what the government feel it deem fit. Our own is when you take such a decision pay us our due right. “In view of this, we gladly accepted the retirement letters. Letters served to us were dated 27th December, 2017. Till this day no single kobo is giving to any one of us I repeat no single kobo giving to any one of us and we are over nine thousand staff. “It is necessary to restate that the affected people were those who have less than two years to retire. His Excellency may wish to call all of us in one place to see things for himself, as he always say he has paid everybody. “All we are saying, no single person among the re-structured staff has been paid a dime. We are requesting His Excellency to have the fear of Allah and have mercy on us and pay us our due rights as it is not a privilege”, he appealed.